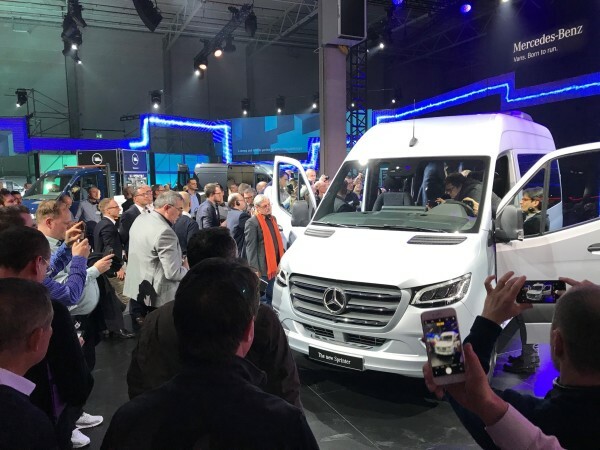 DUISBURG, Germany – Mercedes-Benz Vans chose the inland port city of Duisburg, Germany, to reveal is third-generation Sprinter, which adapts to a rapidly evolving world where delivery vehicles are expected to be a constantly connected piece of the Internet of Things. Media crowd around a just-revealed new Sprinter in Duisburg, Germany. Volker Mornhinweg, head of Mercedes-Benz Vans, said the new 2018 model year Sprinter was designed with mega-trends in mind, such as urbanization, digitalization, and increasing e-commerce. “Everybody is shopping online, it’s happening digitally, and for us that is a major opportunity,” Mornhinweg said in front of a group of about 400 journalists from around the world. He said the goal is for the new Sprinter to be “one of the nodes” of the Internet of Things. Electrification is another trend that the new Sprinter has an answer for, with an eSprinter set to hit the market next year. Four fleet customers were invited to the launch, and each cited electrification as among their top desires in a new Sprinter. “Since we have a background in wind-generated energy, our focus is on electric mobility,” said Michaela Metzl-Schoon, head of investment and acquisition with wind energy company Enercon. She would like to see suitable range coupled with quick charging capabilities, achieving an 80% charge within a few minutes. But she also cited more traditional needs as well, such as payload for transporting a crew and their tools to off-road job sites, and the ability go get there via all-wheel drive. Other requirements listed by customers included connectivity, reliability, payload, safety, and driver comfort. Such wide-ranging needs presents challenges in designing a vehicle that can appease such a versatile customer base, Mornhinweg acknowledged. The Sprinter becomes the second Mercedes vehicle to offer the just-launched MBUX in-cab communications platform. 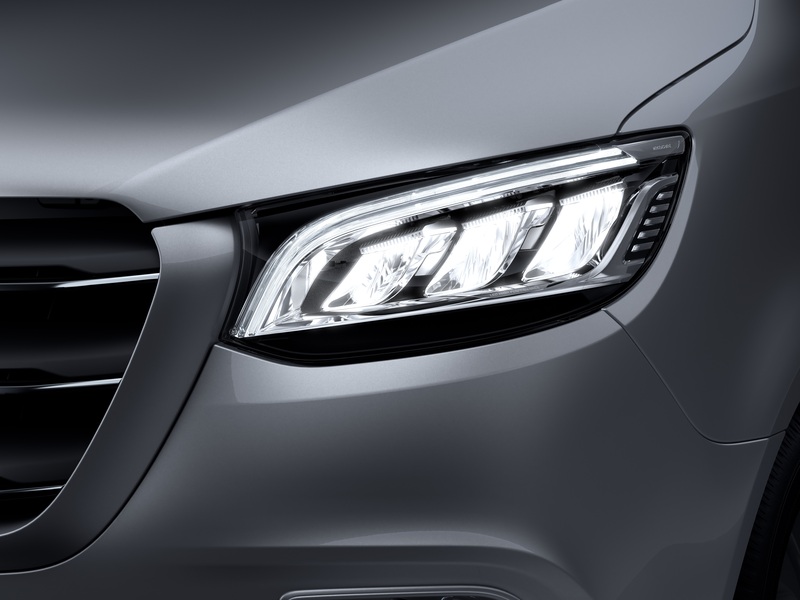 “MBUX will change how we interact with our vehicles,” Zetsche said, adding it’s capable of learning and adapting to the individual needs of the driver. Its navigation system can direct a driver right to, within a few meters, a specific loading dock and even to locations that are off highway. It does this by using what3words for navigation – allowing a driver to navigate to any point on Earth to an accuracy of within three meters without street names or an address. Mercedes says it’s the first OEM in the world to use the technology for navigation. “It’s called what3words because every navigation square is classified using a unique three-word sequence. It’s easy to remember and fast to communicate,” Mornhinweg said. 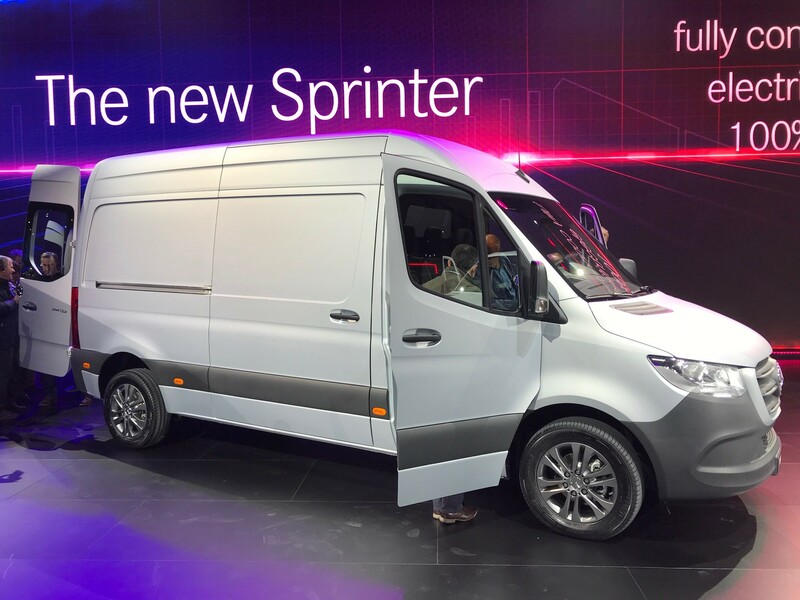 An eSprinter will hit the market in 2019. 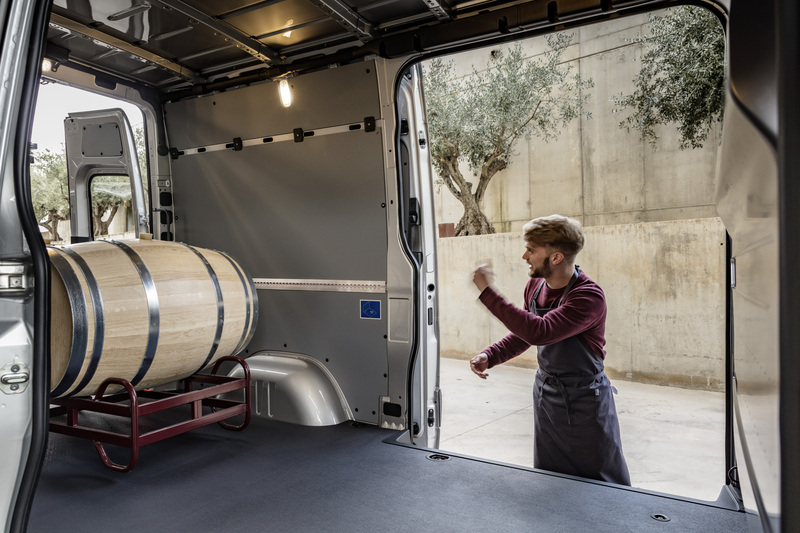 “We improved the Sprinter’s classical strengths, and we complemented the new Sprinter with intelligent products and services,” Mornhinweg said. 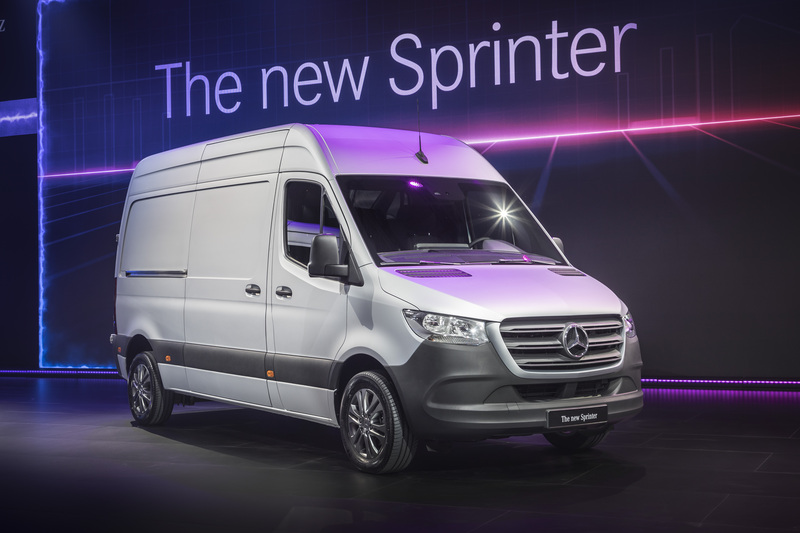 The new Sprinter will come with eight different body variants, with more than 1,700 combinations available. 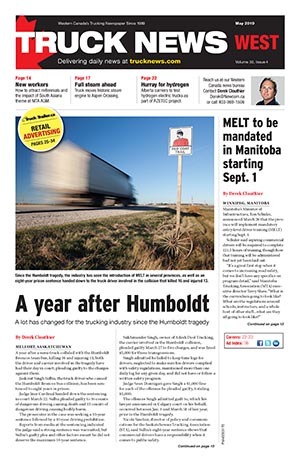 “This kind of flexibility is unprecedented,” said Mornhinweg. It’s also the first Sprinter to be launched as part of Mercedes’ adVANce initiative, which covers five areas of focus: digital@vans is about connectivity and digital networking; solutions@vans covers hardware to improve efficiency; rental@vans provides a pay-per-use approach; sharing@vans looks at new concepts for people moving; and eDrive@vans covers the company’s approach to electrification. 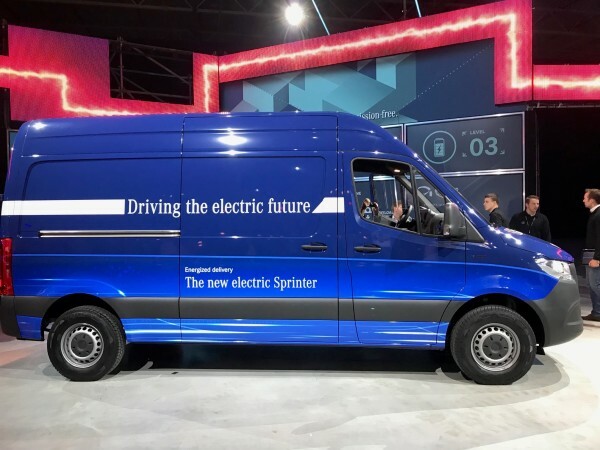 The Sprinter will come with Mercedes Pro Connect, a “digital ecosystem, which makes sure our vehicles and services are connected to each other,” said Mornhinweg, though that feature isn’t likely to be available in Canada when the new Sprinter is rolled out here late this year. 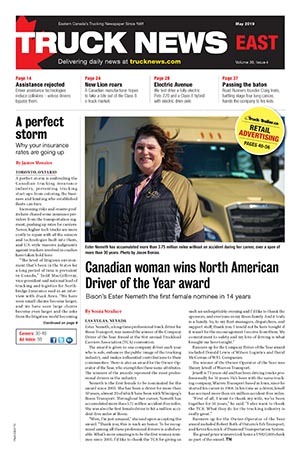 Pro Connect, when available, will allow fleet managers to monitor vehicle status information via a smartphone app and make changes on the fly for things like delivery destinations or routing. 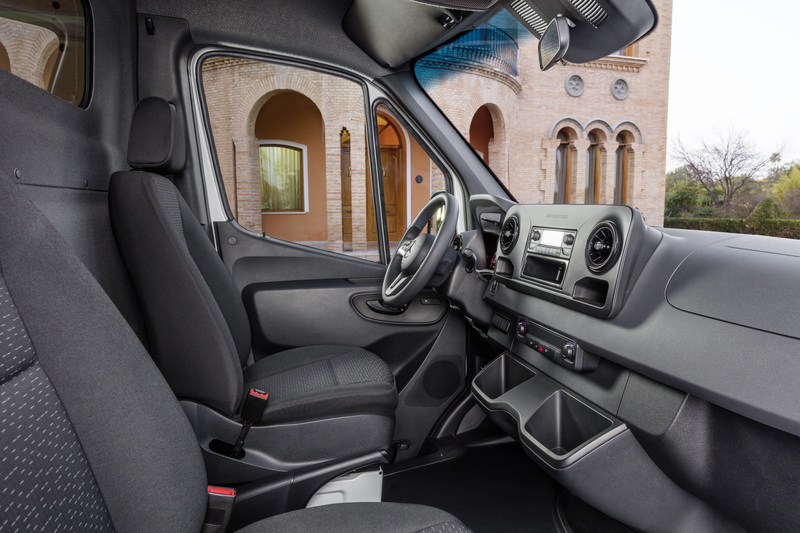 Advanced safety features have always been a strong point for Sprinter, and the new van includes: a self-cleaning rearview camera in the rearview mirror, a 360-degree view parking camera system, and a rain sensor with an integrated wet wiper system for optimum visibility even during the wiping process. The launch of the new Sprinter comes on the heels of another successful year for the brand. Mercedes sold 200,000 Sprinters last year globally, and more than 3.4 million since its launch in 1995. Sprinter sales were up 12%, marking the company’s fourth consecutive year of record sales. “Our new flagship, will therefore start with winds in is sails,” said Mornhinweg.